There's 209 players coming back at Noon on Sunday for Day 2 @WPT Rolling Thunder $3,500 Main Event. 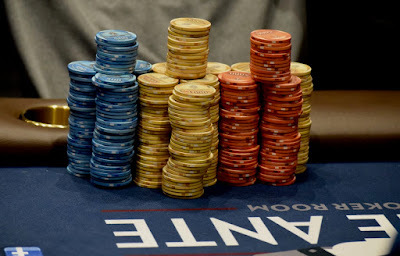 Four players bagged in both Day 1A and 1B, their smallest bag is out of play, that's why - if you do the math - you see 213 names on the Day 1A and Day 1B chipcount pages. Registration is open for the first two hour-long levels on Sunday, closing at 2:15pm when cards go in the air for the start of Level 11.